This is my last post about our Anniversary Dinner and it has been really great to relive it with all of you! 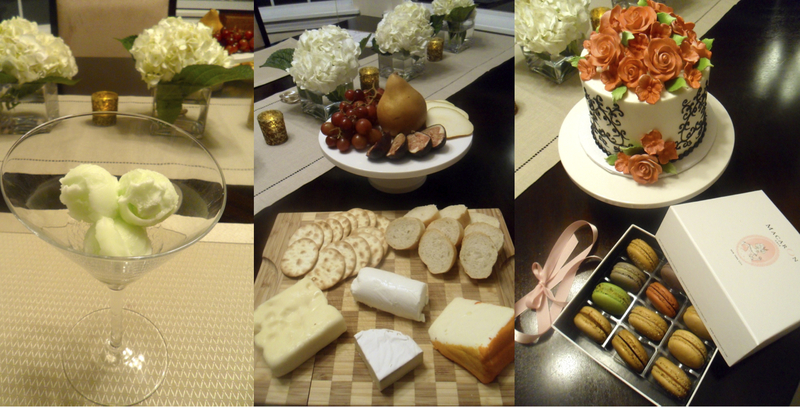 The last three course were “Le Trou Normand” (which is a palate cleanser), the cheese course and the dessert course. These were so easy because it was all either bought prepared or ordered from somewhere else. We had an apple and calvados sorbet for Le Trou Normand, assorted cheeses with crackers and baguettes for the cheese course, and a red velvet cake and macarons for dessert! On a side note before I forget, I wanted to give you all a little weekend treat so now through Sunday if you use coupon code FREESHIP in my Etsy Shop, you can receive free shipping on all orders! The apple and calvados sorbet was super simple. I bought a pre made apple sorbet from our grocery store, emptied it into our food processor and added just a touch of calvados (which is a French apple brandy). I pulsed until it was incorporated then put it back into its original carton and refroze it . When it came time to serve, I just used a small scoop and served it in martini glasses. The cheese course was equally as simple. I had pre-sliced the baguette, added crackers and served it on a cutting board with goat cheese, swiss cheese, brie and gouda. I sliced up some figs and granny smith apple and served it on the side with a pear and some grapes. We ate both of these courses outside under the stars which was a perfect time to give my husband his gift because I actually bought him a star. The dessert course was absolutely amazing. I am in LOVE with french macarons and while I usually make my own, I knew with all the other courses I wouldn’t have time to deal with the extremely finicky process of doing so. 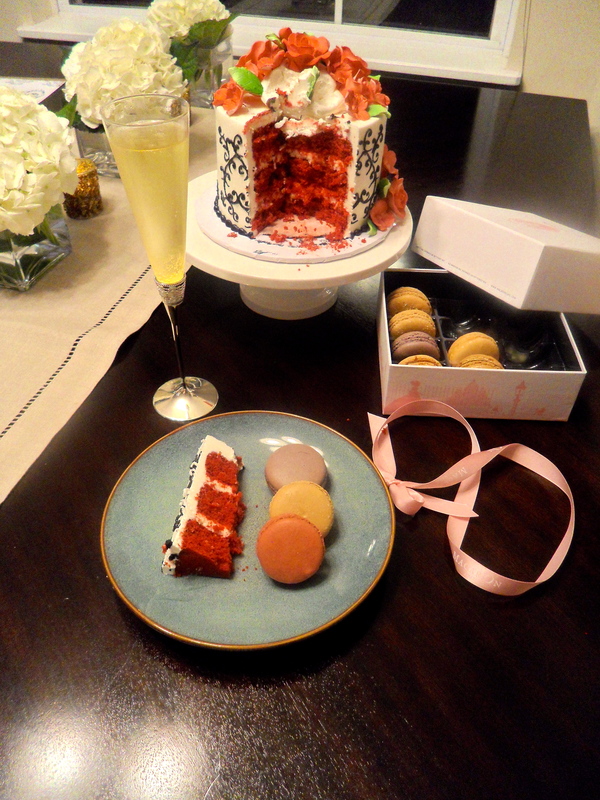 I searched all over for the best place to order them from and have them shipped and all the research paid off because we had the most delicious macarons delivered right to our front door the day of the dinner. Macaron cafe is in New York City and they had just started shipping all over right before our anniversary. You order right from their website, pick which box you want (I got the medium luxury box), pick which flavors you want and then pick the date you want it delivered on… I mean, how amazing is that? For the cake, we did a spin on the tradition of eating the top tier of your wedding cake. After our wedding, my parents took everything (including the cake) from the venue and brought it back home with them while we were on our honeymoon. Between that trip and the trip back to our house and then rearranging the freezer to fit all of our christmas cookies, the cake was in rough shape lol. We ended up throwing it away soon after the new year and then ordering a new one from our bakery. They made an exact replica of the top tier of our cake (and then dressed it up even more with extra gum paste flowers) and had it ready for us to pick up the day of our dinner. Here’s a picture of the original cake at our wedding, which was made by the fabulous Dessert Deli and a family friend was amazingly generous and got us the cake as a wedding present (thanks Deb!). 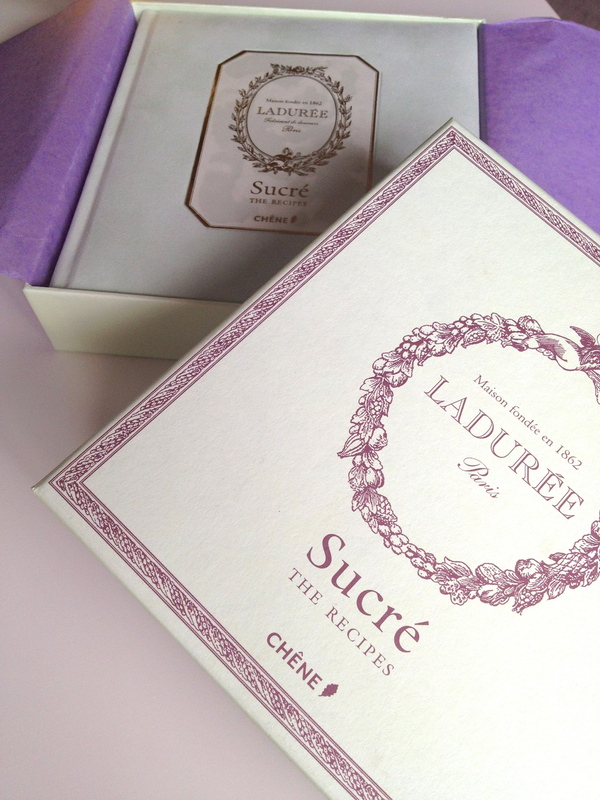 My husband gave me my gift during this course, which was a bound recipe book from my favorite bakery in France (Ladurée). To see the decor and menu from this dinner click here. 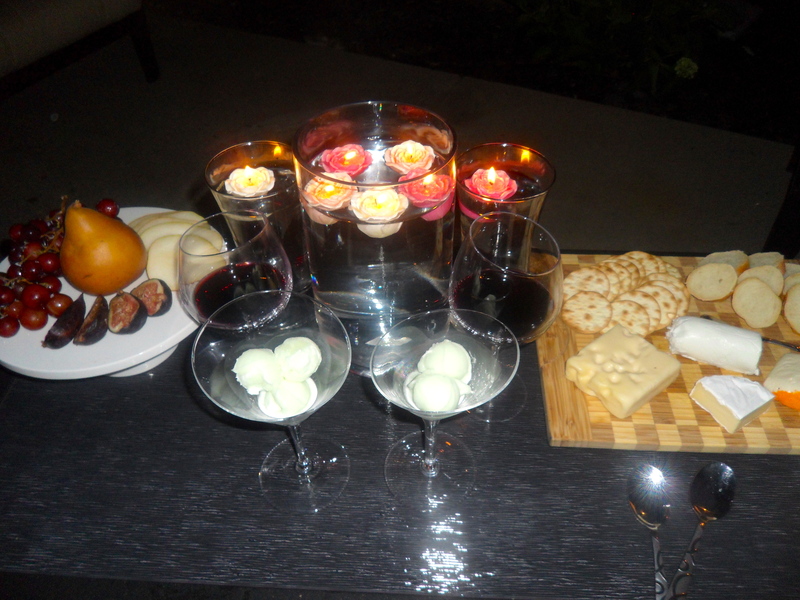 To see the aperitifs and hors d’oeuvres click here. To see the fish course click here. To see the main course click here. 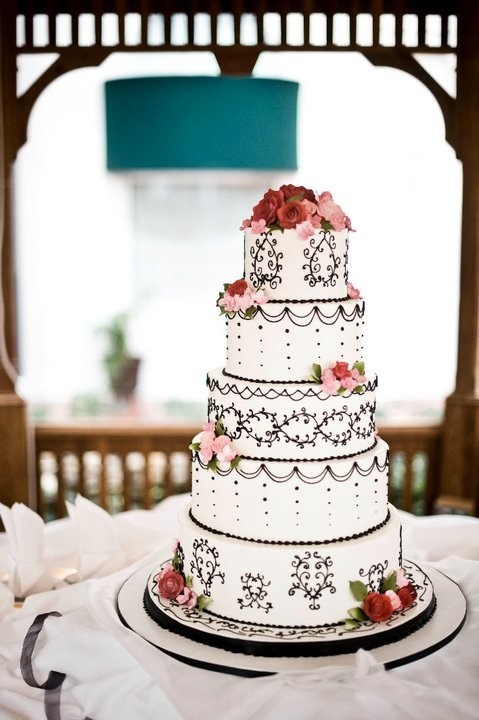 I love the cake design! again, beautiful! there’s a lot of love going on in there! congratulations again!